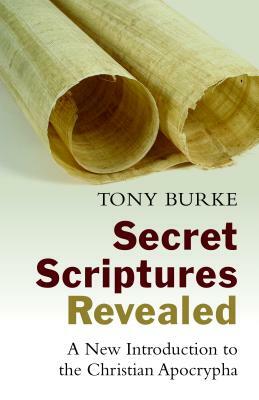 Among those with interests in the non-canonical Christian literature, Tony Burke is well known for his scholarly writings and his blog devoted to exploring the Christian Apocrypha. This volume, which Burke describes as his “dream project” (vi), is a superb introduction to a broad range of early Christian, non-canonical texts. The book consists of seven chapters of unequal length and a short appendix listing resources for further study (pp. 153-56). Chapter 1 (“What are the Christian Apocrypha?”) is more than a simple introduction to the subject at hand. Burke situates the study of the apocrypha in the modern Western context of media hype, defines a number of key terms, and demonstrates why these texts are important for our study of early Christianity. Particular attention is given to problems with our current terminology (viz., apocrypha, non-canonical, hidden, secret) and how the use of a given term can unwittingly influence the direction of a discussion. We all know that the terms you choose and how you define them are key to discussing literature such as this, especially among audiences that privilege canonical texts. As I have noted elsewhere, many Christians are quick to dismiss as valueless, all non-canonical material. What is striking about this chapter is the way in which Burke describes both the apocrypha and his task. He writes with the passion and infectious enthusiasm of someone who genuinely enjoys his topic of study. After introducing readers to the foundational questions, Burke uses Chapter 2 to introduce the tools and methods necessary for studying the Christian apocrypha. Included in the overview are texts and translations, historic discoveries such as Nag Hammadi and Oxyrhynchus, monastic libraries, and the apocrypha in art, literature, and drama. The next three chapters survey non-canonical writings about Jesus’ life (Chapter 3), passion and resurrection (Chapter 4), and early church legends after Jesus’ departure (Chapter 5). These chapters constitute the substance of Burke’s primer as they introduce students to specific texts and their contents. One emphasis that continues to appear throughout the book is the role these writings play in our understanding of history. At the end of Chapter 4, Burke notes, “[T]here is likely little in these texts that can be considered historical—at least not in the sense that these texts provide additional information about what really happened…But the value of these texts lies not in what they say about Jesus, but in what they say about Christians, about how they used early Christian figures and events to discuss and debate new developments in the lives of their communities” (99). These three chapters are succinct and substantive at the same time. This is the portion of the book from which students will glean the most information about the actual content of the Christian Apocrypha. Chapter 6 (“Myths, Misconceptions, Misinformation”) looks briefly at nine myths and misconceptions related to the apocrypha: (1) The Christian Apocrypha were all written after the texts of the NT, or were all written before the texts of the NT; (2) The Christian Apocrypha are ‘forgeries’ written in the names of the apostles; (3) The Christian Apocrypha were written by Gnostics; (4) The Christian Apocrypha claim that Jesus was not divine; (5) The Christian Apocrypha are bizarre and fanciful compared to the canonical gospels; (6) The Christian Apocrypha were written to undermine or replace the canonical texts; (7) The Christian Apocrypha were enormously popular before their suppression by a powerful minority in the church; (8) The Christian Apocrypha are being used to rewrite Christian history; (9) Reading the Christian Apocrypha is harmful to one’s faith. This chapter is a thorough coverage of ideas that circulate among popular audiences, and thus helps Burke connect with his intended, non-specialist audience. Chapter 7 consists of a very brief (3 page) conclusion to the work. Several features of this book stand out in my mind. First, the material Burke covers is grouped by subject matter rather than date, an arrangement that will likely prove useful for non-specialists. Second, his writing style is clear, engaging, and at times, even humorous in places. Third, at the end of each major section there is a textbox providing information for further study. What I most appreciate about this book is that Burke writes with the skill of an expert and the communicative ability of a great teacher. He ably accomplishes the aim of writing an introductory text for the non-specialist. I definitely plan to require this textbook the next time I teach the non-canonical literature!